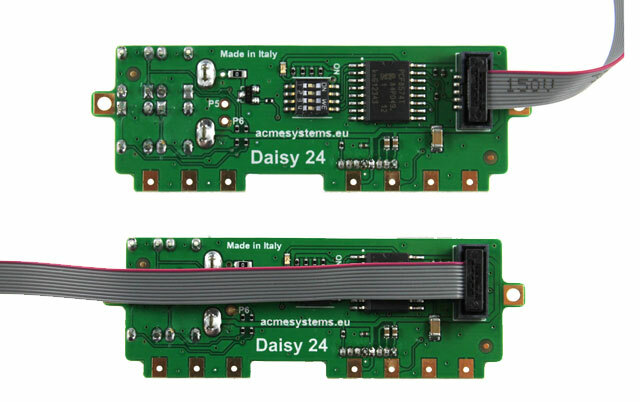 Daisy-24 is a mini I2C terminal which mounts a Winstar alphanumeric 16x2 chars LCD module and 4 push buttons. 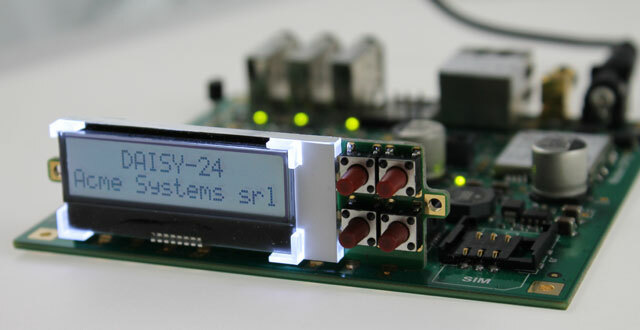 DAISY-24 can be soldered directly on the Terra Board PCB and used as its front panel display or plugged on a Daisy connector. 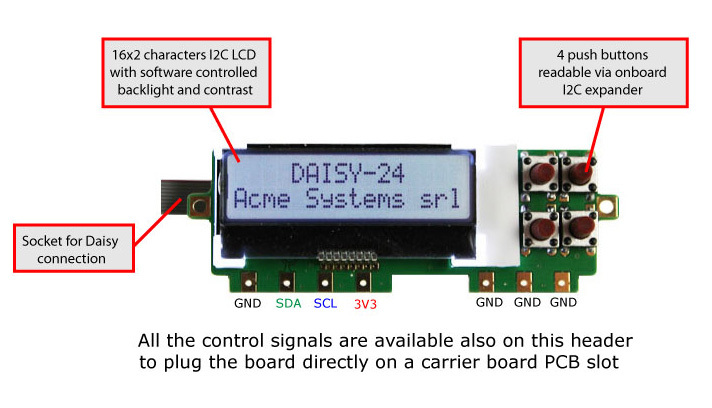 When soldered on the Terra board the flat cable is not required because all the signals are both on PCB pads (see below) and on Daisy connector. If the flat cable is used an insertion key on the connector ensures to plug it in the right way. The LCD address is fixed at 0x3E.